Members of a local Ganesh Mandal in Pune, made the workers at a bakery to do sit-ups allegedly after they refused to pay donation for an upcoming festival, police said on Tuesday. 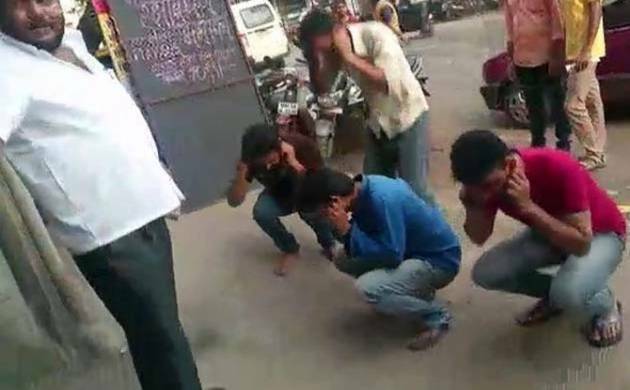 A purported video of the incident, which occurred at a bakery in Bhosari area on August 15, has gone viral, while the three accused have been arrested, police said. According to an official of Bhosari police station, the accused went to the bakery and demanded 'vargani' (donation) of Rs. 151 from the workers for the Ganesh festival. The workers, who are non-Maharashtrians, said the owner of the shop was not there and hence they did not give the donation, the official said. Following the denial for donation, the accused, identified as Prakash Landage (30), Ganesh Landage (30) and Mahesh Mare (31), abused the workers and later made them to do sit-ups, the official said. A complaint was filed by one of the workers, Irshad Mommammed Ayub Khan, and a case under IPC sections 294 (obscene act or words in public), 341 (wrongful confinement), 385 (extortion) and 506 (criminal intimidation) was registered, the official said, adding investigations are underway.